4Bedroom RFO House and Lot ForSale Marigabago Lapu-Lapu City. Overlooking Se view Bungalow House For Sale Compostela Cebu. Affordable Condo Cebu IT Park Cebu City 8,308.14 monthly. Affordable Condominium Labangon Cebu City 13,546 Monthly. 3 Bedroom Single Attached House For Sale Talisay City 23K Monthly. RFO 1 Bedroom Condo For Sale Banawa Cebu City with Parking. 2 Bedroom House ForSale Sudtunggan Lapu-Lapu 10,605 monthly. 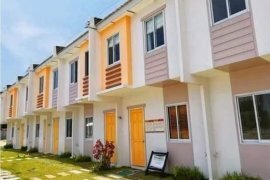 2 Bedroom House For Sale Langtad Naga Cebu 8,598 Monthly. Pay 10% Down To Move In Condo Canduman Mandaue Beside Ateneo. 4BR Single Attached House For Sale Talamban Cebu City near Grandmall. RFO 4 Bedroom Single Detached House For Sale Mandaue City. 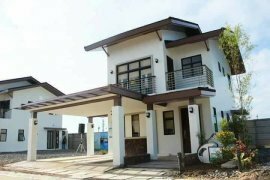 Single Detached House and Lot For Sale Liloa Cebu. 4 BR Single Detached House and Lot Liloan Cebu. 2 Bedroom Ready For Occupancy Condo Mabolo Cebu City. Penthouse 4BR Condo ForSale Cebu Bunsiness Park Beside Ayala. RFO 4 Bedroom House For Sale Cordova Lapu-Lapu City. Studion Condo For Sale Bsak Lapu-Lapu City infront Gaisano. RFO 3Bedrooms House and Lot ForSale Cabangcalan Mandaue City. 4 BR Single Detached House For Sale Consolacion Cebu Near SM.